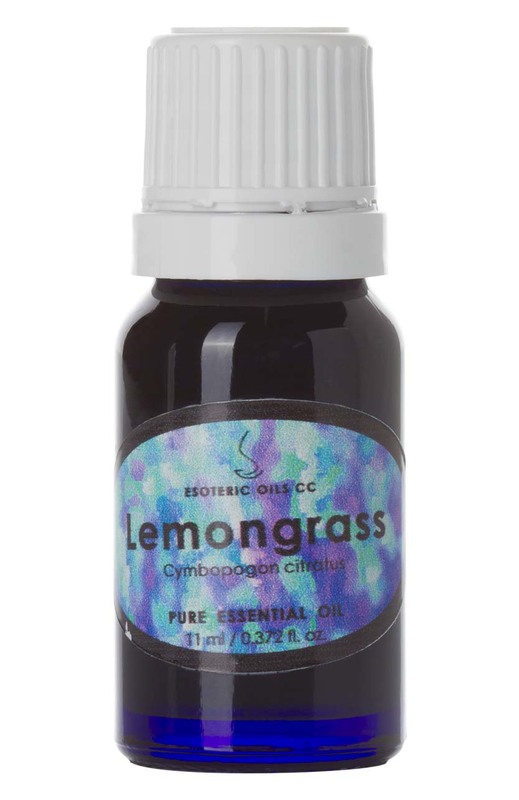 Our lemongrass essential oil is extracted from Cymbopogon citratus (also known as Andropogon citratus, A. schoenathus - West Indian, Madagascar or Guatemala lemongrass; Andropogon flexuosus, Cymbopogon flexuosus - East Indian, Cochin, British India or native lemongrass), of the Poaceae family. Lemongrass oil has a lemony, sweet smell and is dark yellow to amber and reddish in color, with a watery viscosity. In India it is known as 'choomana poolu' and is also referred to as 'Indian Verbena' or 'Indian Melissa oil' and used in Ayurvedic medicine to help bring down fevers and treat infectious illnesses. It is a valuable ingredient in perfumes and citrus-type soaps and is also an insect deterrent. Lemongrass oil is extracted from the fresh or partly dried leaves by steam distillation. Lemongrass oil can irritate a sensitive skin, so care should be taken. It should be avoided in pregnancy, due to it being a possible skin irritant. The therapeutic properties of lemongrass oil are analgesic, anti-depressant, antimicrobial. antipyretic, antiseptic, astringent, bactericidal, carminative, deodorant, diuretic, febrifuge, fungicidal, galactagogue, insecticidal, nervine, nervous system sedative and tonic. Lemongrass oil can be used in blended massage oil or diluted in the bath to assist with cellulite, digestive problems, as a diuretic, for infections, nervousness, for over exerted ligaments and as a general tonic. When used in a lotion or a cream, it has value in clearing cellulite, as well as toning the skin, opening blocked pores and helping with acne. The antiseptic properties are useful in treating athlete's foot and other fungal infections. Although some people may have an allergic reaction to lemongrass oil, most people do not show an allergy when it is used in concentrations lower than 3%. Since our oil only contains trace amounts of citral (whereas West and East Indian lemongrass (Andropogon flexuosus and A. citratus contains nearly 79%) the possibility of irritation or allergy is less. Although essential oils blend well with one another, lemongrass oil blends particularly well with basil, cedarwood, coriander, geranium, jasmine, lavender and tea tree.